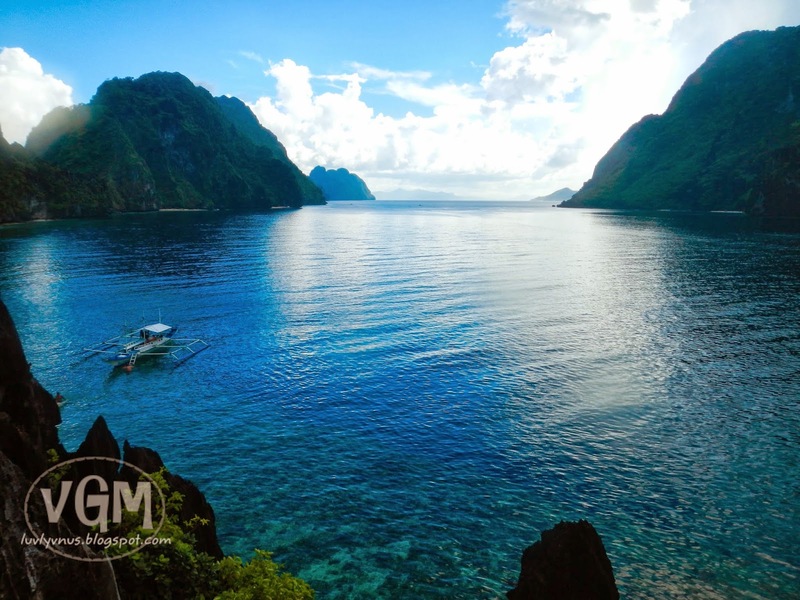 El Nido is located at the northernmost part of mainland Palawan; roughly five to six hours drive from Puerto Princesa City. 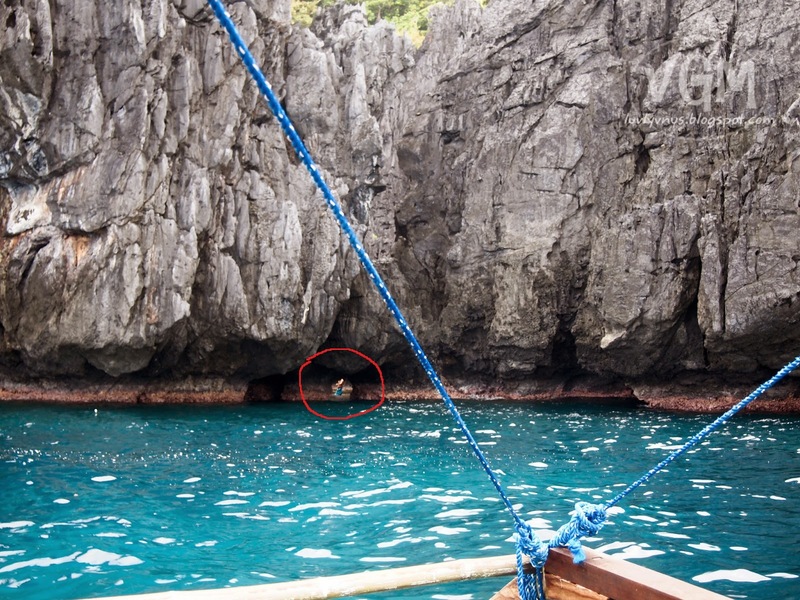 It's quite amazing that despite the location, many tourists are visiting El Nido. 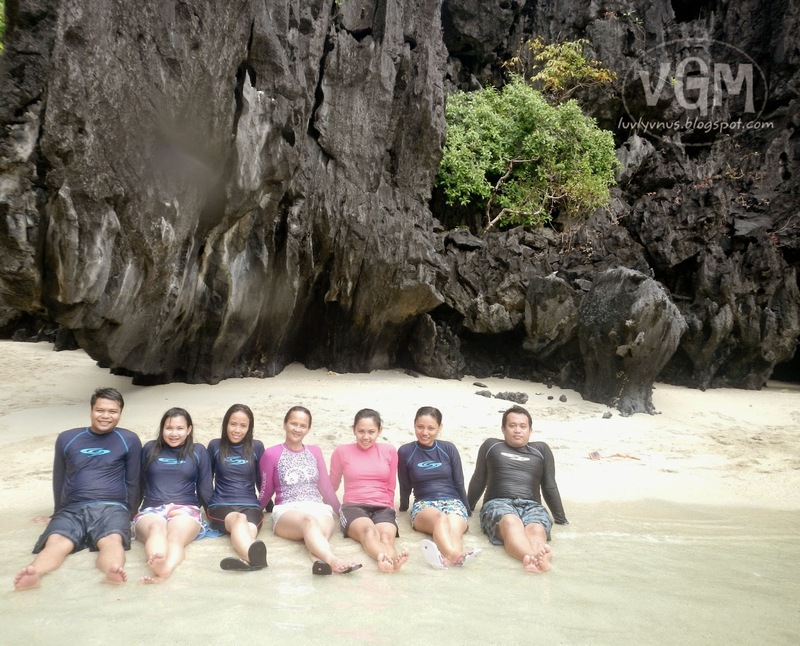 I guess the distinct beauty of El Nido makes it a premier destination for both Filipino and foreign tourists. FYI: Almost 80-90% of tourists are foreigners. 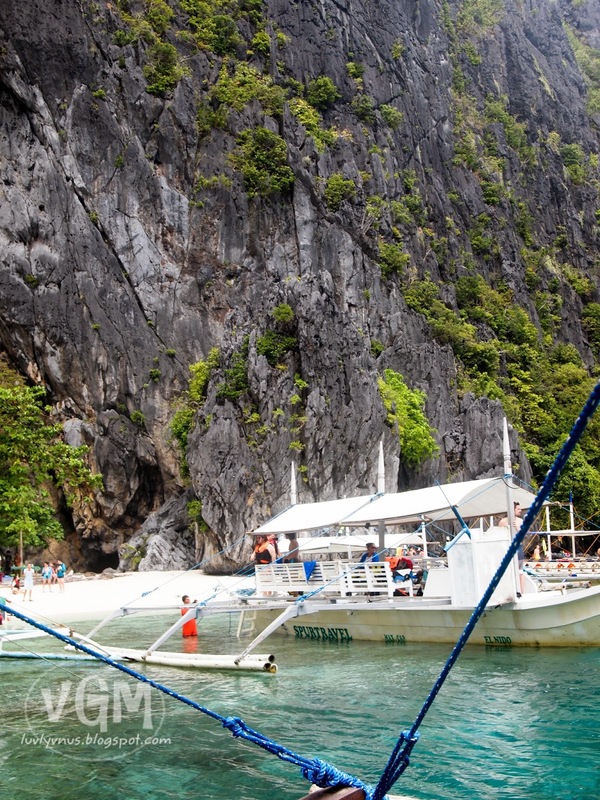 The most popular activity in El Nido is island hopping. 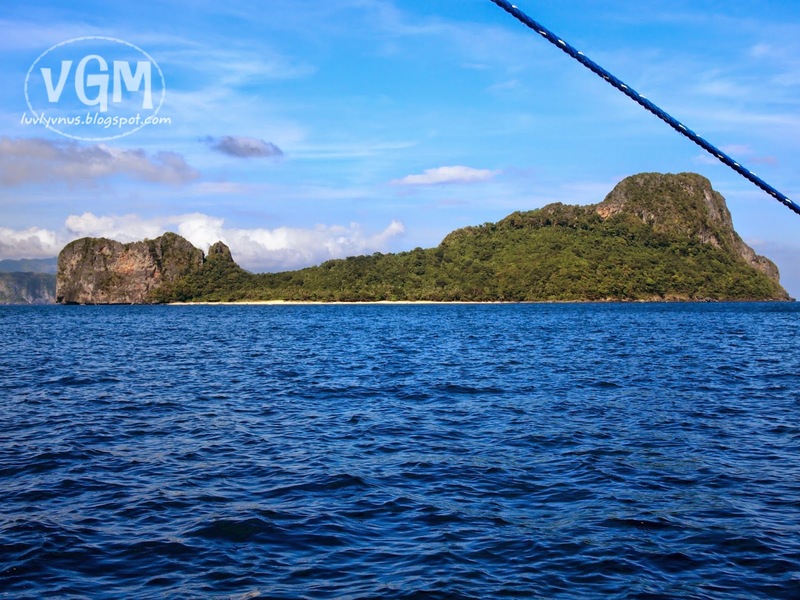 The islands of El Nido are made of limestones, believed to have risen from underwater and are expected to rise a few meters every year due to environmental changes. Tours range from A - E. Tours A-D are the island (water) tours while Tour E is mainland tour of inland beaches and waterfall. For tourists with limited time, some travel agencies offer combination tours. Combination tours consist of selected places from Tour A and Tour C which can be visited within a day. 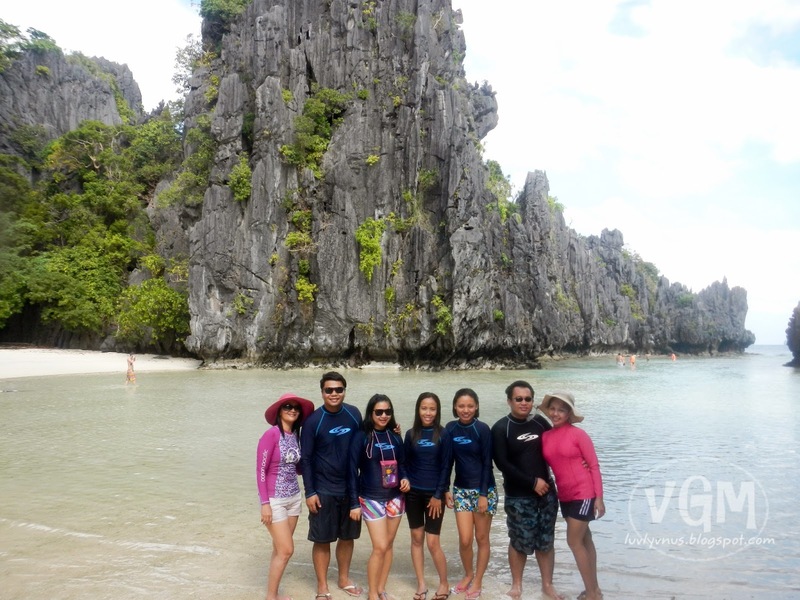 For our two-day stay in this paradise, we availed of the most recommended tours - A and C.
Because we need to catch the van going back to Puerto Princesa on the second day, our contact travel agencies decided that we start with Tour C because its farther compared to Tour A. 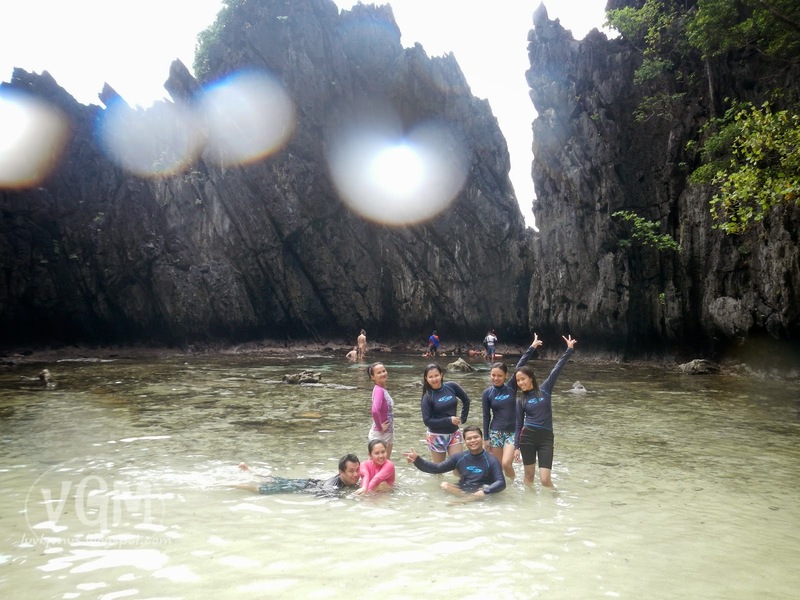 For the first day tour, we visited Hidden Beach, Secret Beach, Talisay Island, Matinloc Island and Helicopter Island. Warning: This is a picture heavy post. On to our first stop, Hidden Beach. 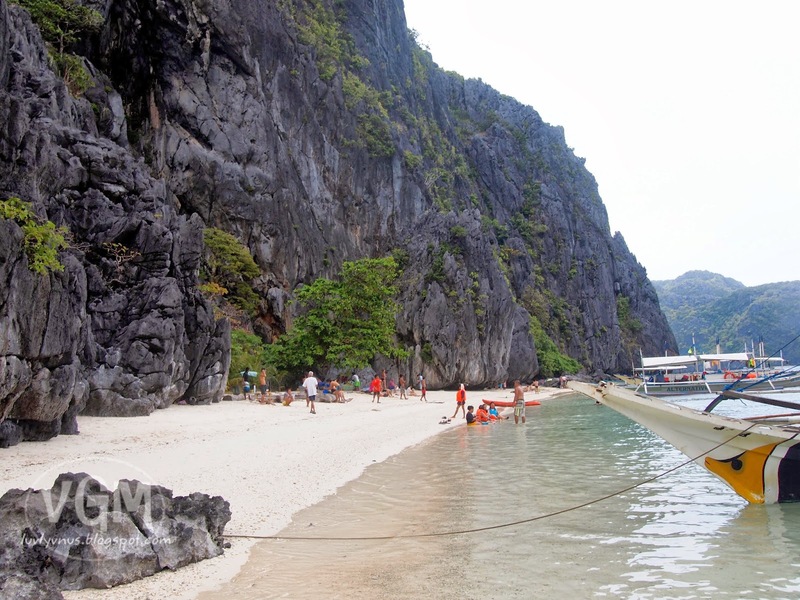 As its name suggests, the white sand beach is hidden from view and located between the limestone cliffs. Big boats dock at a particular place and guests can either walk or swim to the beach. We were lucky because it was not yet crowded when we arrived. 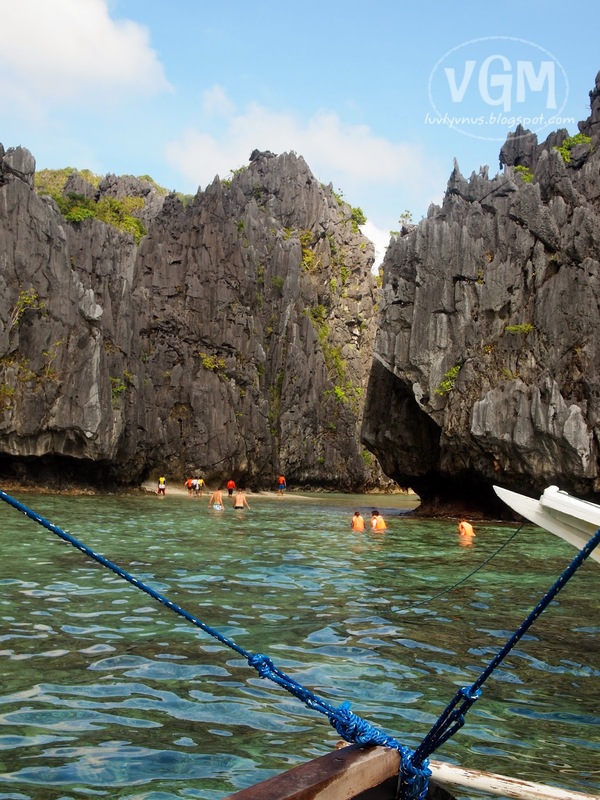 The limestone cliffs and tourists walking towards the beach. 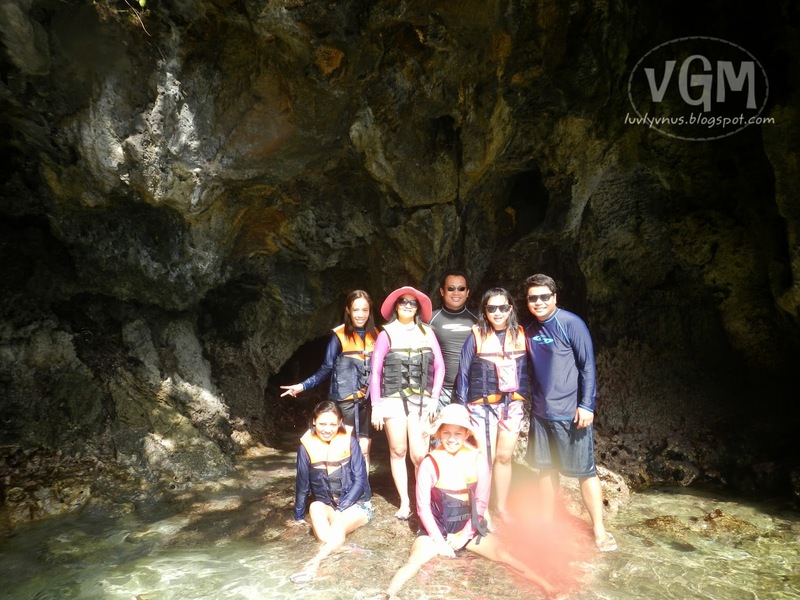 Our boatmen added a little twist to our adventure so instead of the usual course, we passed through a cave-like tunnel to reach the beach. Just be mindful of the sharp edges of the stones underwater, I got bruises on my right knee after hitting one while walking towards the beach. The tunnel I was talking about. Sorry for the overexposed picture. From Hidden Beach, we traveled a few minutes to reach Secret Beach. 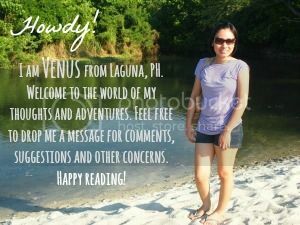 While traveling, the heavens poured out its blessings on us (quite confirming that it will be chasing us the rest of the day) but the waters remained calm despite the rain. 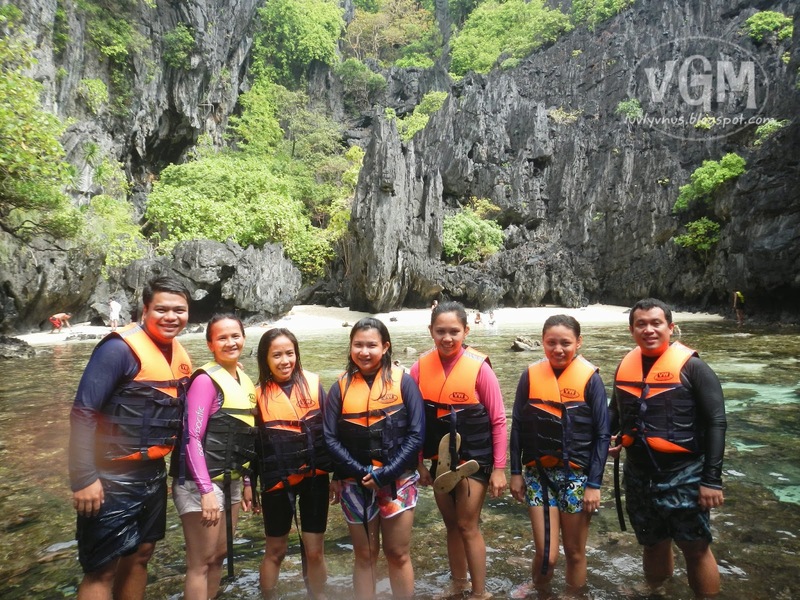 Secret Beach is totally surrounded by gigantic limestone cliffs, a small hole at the bottom part of one of the cliffs is the gateway to reach the beach accessible only after swimming in the deep blue sea. 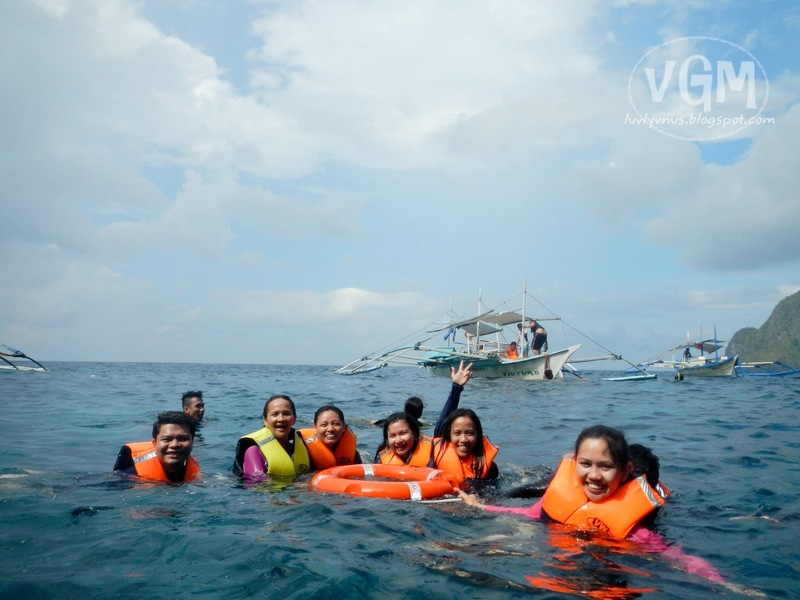 No worries if you don't know how to swim, all guests must wear life vests for safety and the boatmen will provide inflatable tube to hold on to while they pull you to the entrance (the same goes for other islands that need swimming). The water in the Secret Beach is shallow, cold and crystal clear. I encircled the tunnel/entrance so that I could give you a clear picture of what I was saying. Secret Beach made me feel I was in a different dimension. According to the boatmen, when the rain is heavy or when the tide is very high the water level rises making it unsuitable for visits. I believe that choosing the island to spend lunch relies on the number of crowd staying on a particular island. For our lunch stop over, we stayed at Talisay Island named so because of the many talisay trees planted around. We had a complete set of meal for lunch consisting of grilled fish, grilled meat, vegetables, and fruits (yellow watermelon and banana) prepared by who else but the boatmen (Bravo!). I read it from somewhere that there is an existing ordinance enumerating the type of food to be served to tourists. Because of too much excitement to fill our stomachs, nobody bothered to take photos of the food. We spent two hours in this place before moving on to the next island. We docked on the right side of the island, the part with a small strip of powdery white sand. Matinloc Island according to Kuya Dennis, our tour guide, is a heart-shaped island (best viewed aerially). This island houses the Matinloc Shrine and an abandoned mansion. 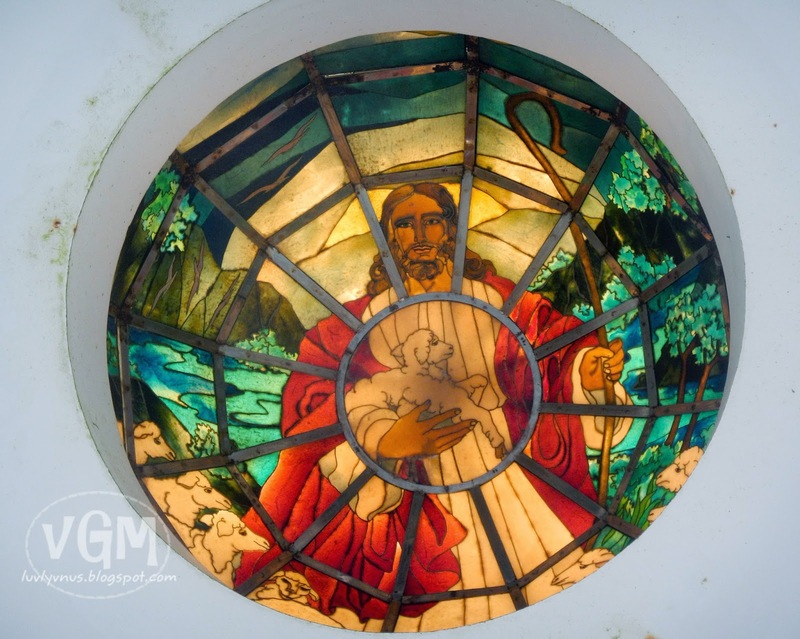 It was built by a nun in 1982 to honor the Blessed Virgin Mary, she was said to have a vision of building a shrine in the heart-shaped island. It is also called the Shrine of Our Lady of Matinloc and Shrine of the Blessed Virgin. 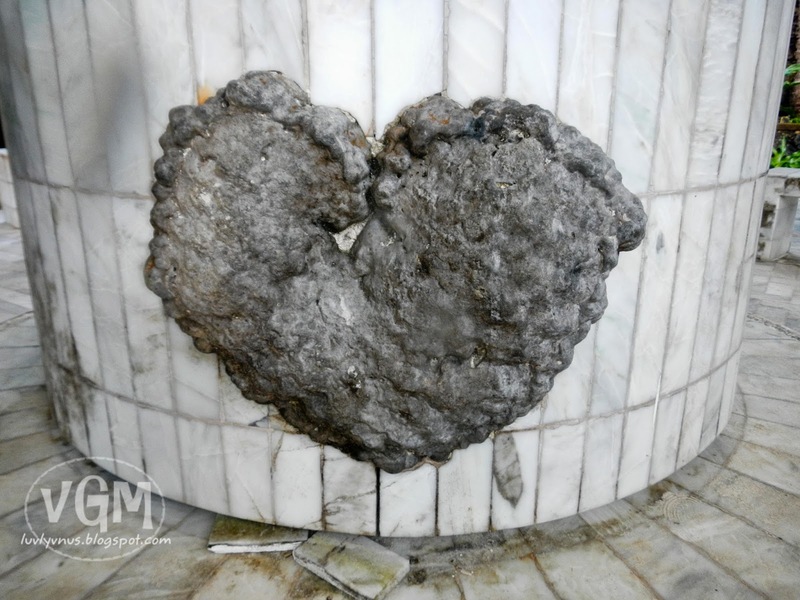 A heart-shaped coral was embedded at the center pillar of the shrine. 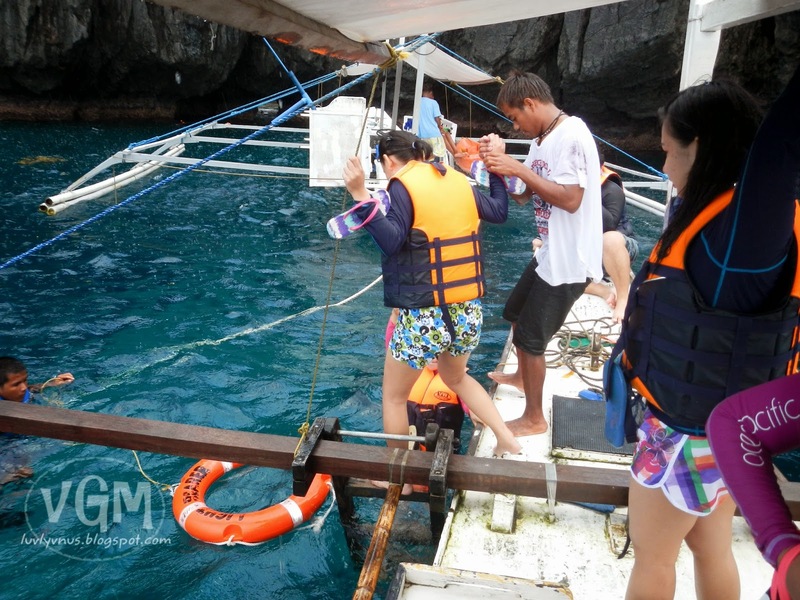 Kuya Dennis pointed the anemones that were still alive when the coral was placed there. 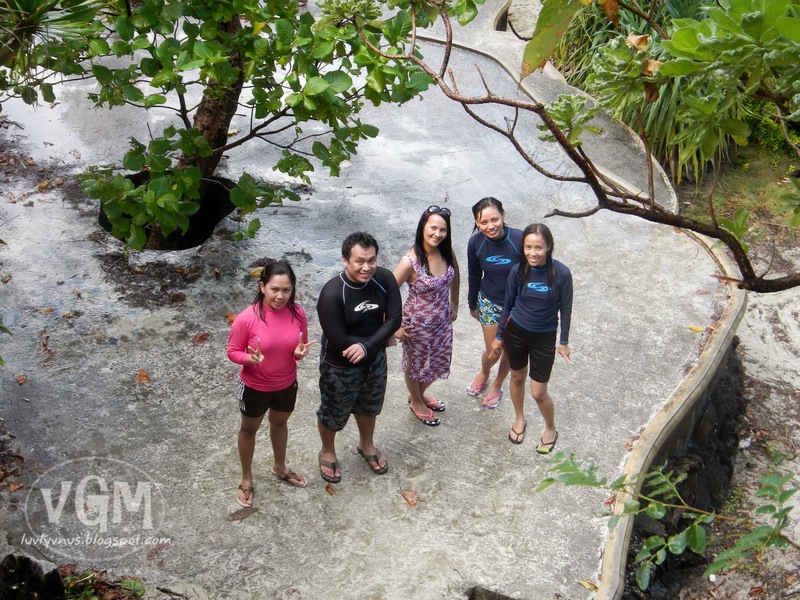 Another feature of the island is the abandoned mansion, many believed this is where Senator Lacson hid during his refugee days. It was said to be owned by a foreigner and a Filipina couple but for some unknown reasons, it was abandoned just a few years back. Since then, the house has been a favorite target of thieves. There is also a mini-museum in the island, unluckily though, I was not able to visit that. A mini-port for docking is available here. 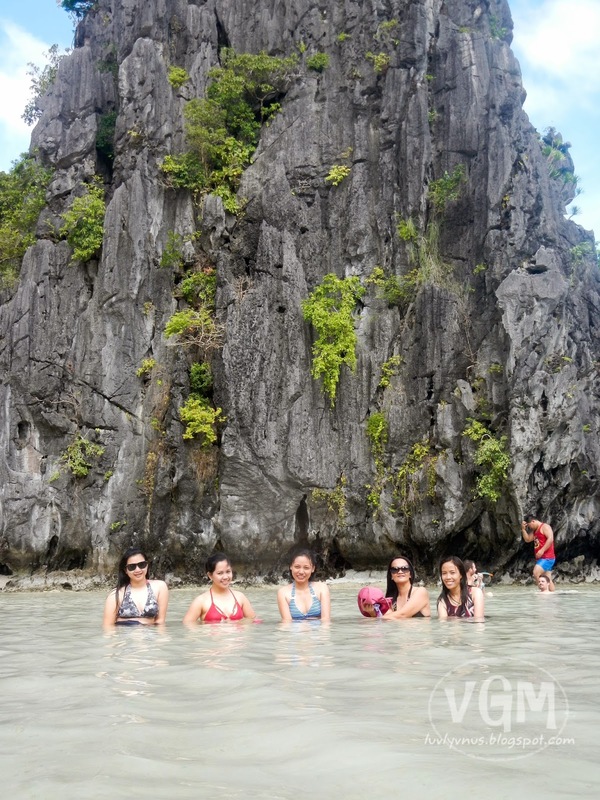 Apart from the structures, the main feature of Matinloc Island is the picturesque view of El Nido on top of the cliff. The cliff is a bit steep but there's actually stairs where we climbed on. The view is just spectacular on top. Wouldn't you be proud that there's a view as majestic as this in our country? Our last stop for the day. 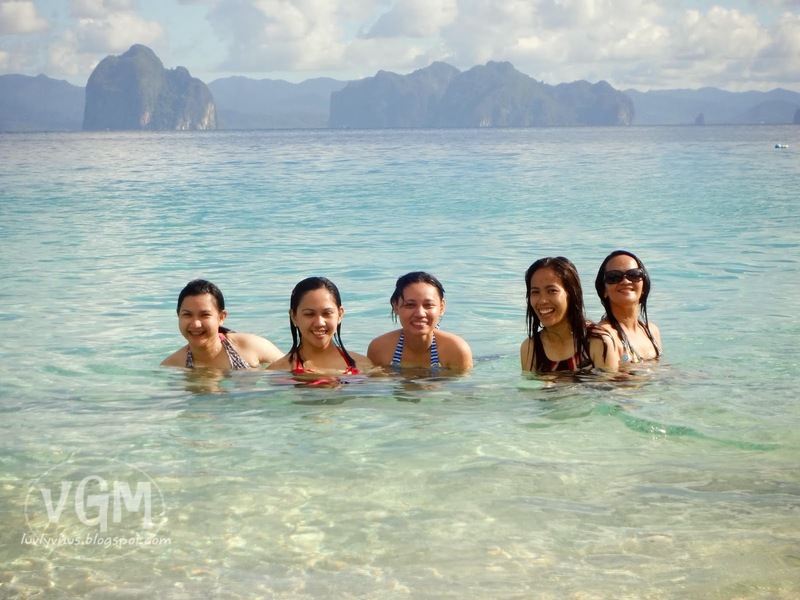 Actually, we already passed by this island on our way to the Hidden Beach but because we opted to visit the farther ones first, this became our last stopover. It resembles a helicopter without propellers when viewed from a distance. 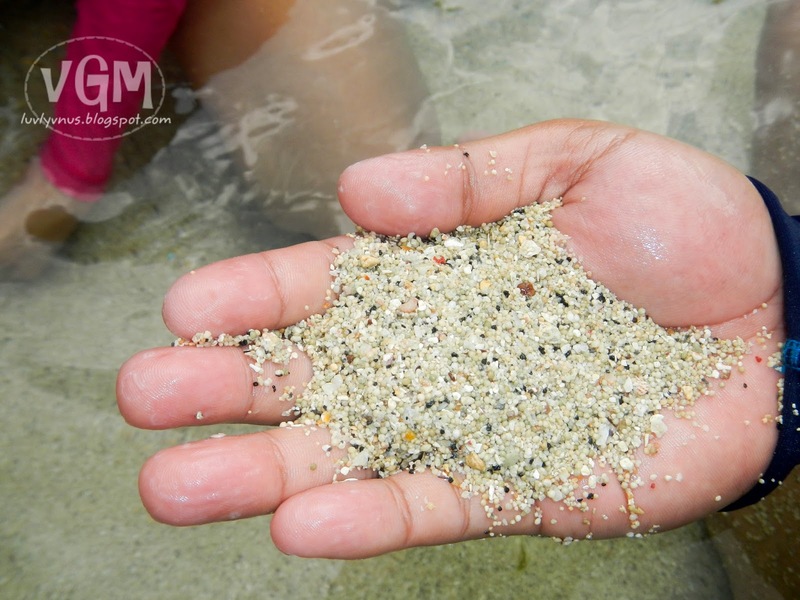 As seen in the picture below, it has a long stretch of fine creamy sand. Big waves greeted us on our way here, but the place was worth the visit. 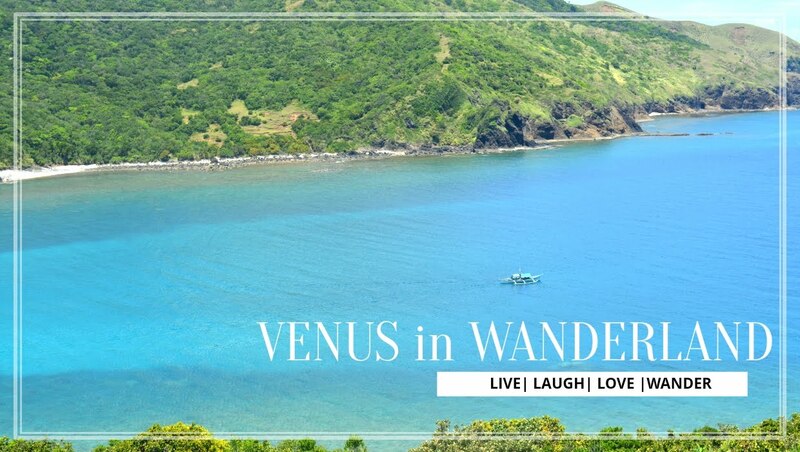 Like the other islands, it is a good place to bum and enjoy while appreciating the beauty of nature. Us girls enjoying the sand and waves. 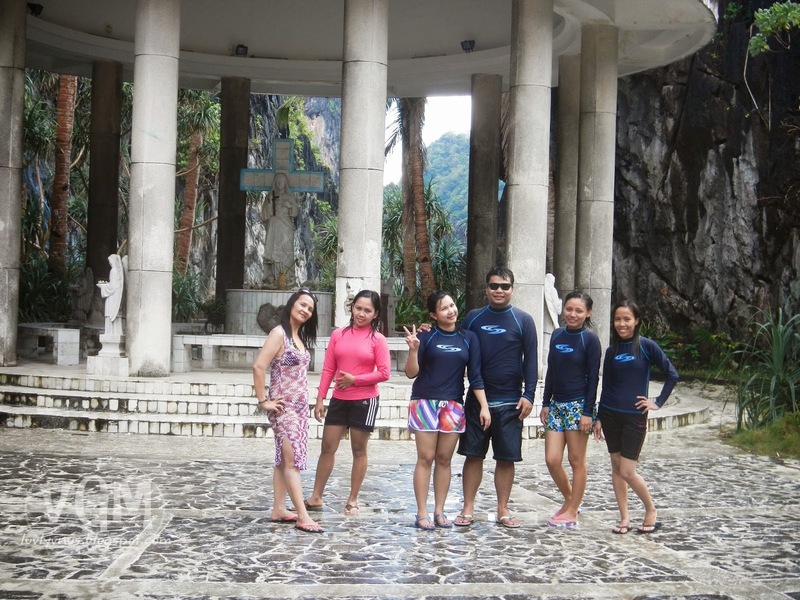 Read the second part of our El Nido adventure here.